Manish Kumar lives in New Delhi with his wife and daughter and works in a reputed IT company. Like most Indians, Manish has also been celebrating Diwali in his home town ever since he was born. Parties with friends and families, gifting sweets and other stuffs, sumptuous lunch and dinner and lighting up the sky with fireworks – he and his family have done everything that Indians do to celebrate Diwali. This year, Manish has decided against following the same old routine again and made up his mind to to go for a family vacation and enjoy Diwali 2016 in a different way. Not only Manish, an increasing number of Indian families and individuals are considering vacations as a alternate way of Diwali 2016 celebration. According to the survey, search for international flights increases by as high as 30% at the the time of Diwali 2016. And, this trend is at present thriving among tech savvy Indians who proved to be quite adventurous when it comes to researching and tracing out off-beat holiday destination. So what are the most favoured destination among Indians across the world? Where Indian Would Love to Celebrate Diwali 2016? The trend of experiencing the age-old festival in new locales is well and truly upsurge now. Here is the list of most sought-after holiday destinations during Diwali 2016. It is noticeable that most of these destinations boast thick Indian population. 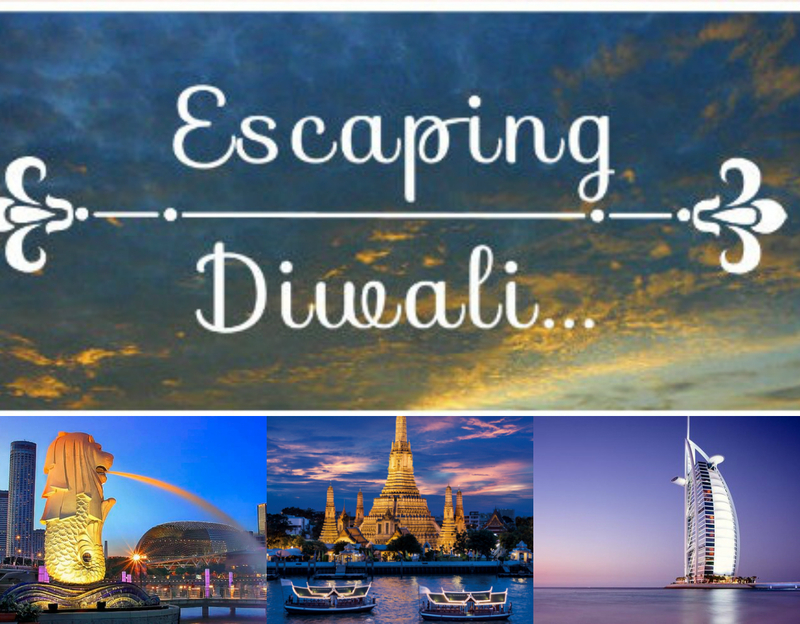 The Diwali is celebrated in full swing in all these Asian vacation spots; so much so that there is a public holiday being declared in Singapore during Diwali! If you want to get on the bandwagon of holidaying during Diwali 2016, all you need to do is to pack your bag, book a flight and avail an overseas travel insurance online. Loss of documents and baggage and medical emergencies don't spare festivals and the rate of petty crime such as theft and all remains high when people are buy in merry-making and don't stay highly cautious. The lack of alertness can prove to be fatal if you are not armed with a comprehensive online travel insurance policy that offers financial coverage for a range of unexpected situations for a nominal premium. Hence, even though, international travel insurance is the last thing to cross your mind in this season of festival you are better off opting for it to ensure a worry-free and off-beat Diwali celebration far away from your own backyard. Does An International Travel Insurance Cost Less Than Fireworks? Regardless of whether you are traveling alone or with family to any of the above mentioned Asian countries and cities, the amount of money that you have to shell out to buy travel insurance online is unbelievably low. Take a look at the lowest available premium to fly to any Asian country( without Japan) during Diwali 2016. Let's start with the premium rate for an individual. Let us suppose, the age of the traveler is in the group of 18-40 years, duration of the trip is 7 days and the chosen Sum Insured is $ 2.5 Lakh. The lowest available premium for a trip to Asia excluding Japan is just Rs. 809 for an individual. Didn't you spend more on firecrackers last year than the cost of an overseas online travel insurance? In case, you have a family like Manish and looking for a family holiday in Thailand to celebrate Diwali 2016, you need to compare travel insurance online and get the best protection for your entire family. Here is the list of top 3 family travel insurance plans for a trip to Asia (excluding Japan). The premium are calculated for a family of 2 adults in the age-group of 18-40 years and 1 child in the age group of 0.5 -18 years and for a Sum Insured of $ 5 Lakh. The lowest available premium is Rs. 2,075 for the complete protection for your entire family. 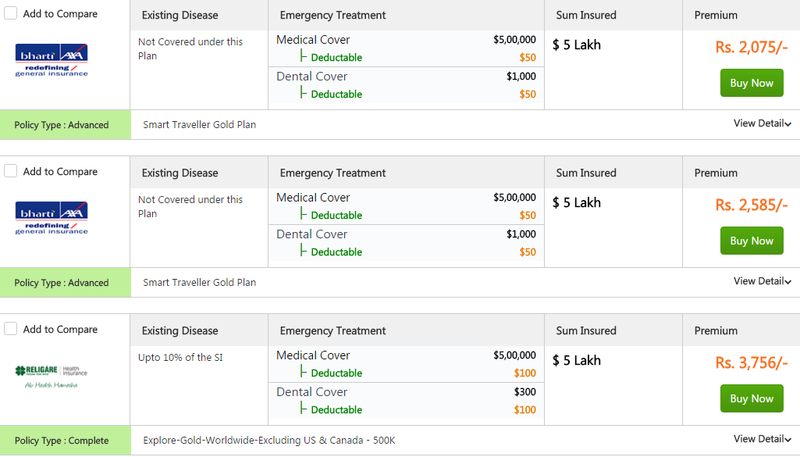 Bharti Axa, the provider of this online travel insurance policy in India offers a medical coverage of $ 5 Lakh and a dental coverage of $ 1,000. If you would have spent the Diwali 2016 in any metro city in India like Manish in Delhi you would have to spend much more for buying gifts, going for dine-out with family. The trend of vacationing with a group of friends are also gaining popularity among unmarried young individuals. If you want to celebrate Diwali 2016 along with your best buddies in Singapore or Thailand you can also compare travel insurance online among leading travel insurance companies in India and get the best deal for you and your friends. 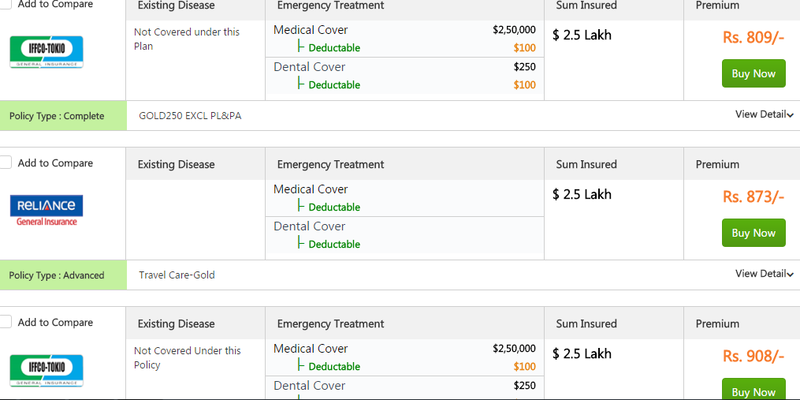 Here is a list of best online travel insurance policies available for a group of 5 friends all in the same age-group of 18-40 years want to go for a 7 days trip within Asia (excluding Japan). The chosen Sum Insured is $ 2.5 Lakh. The lowest premium is Rs. 4045 which means each of your friend and you have to spend less than Rs. 1000 to celebrate Diwali 2016 in foreign countries within Asia in a safe and secured way. Indians are fast expanding their horizons and now celebrating family-oriented festivals like Diwali in foreign countries. Aside from the excitement of doing something off the beaten track, celebrating Diwali in foreign countries also makes a lot of sense. By choosing to have vacations during festivals, Indians are not only evading the hassle of buying and delivering gifts to loved ones by traversing through highly congested roads but also escaping the pollution and noise which bring health hazards in consequence. Indians are managing their Diwali budget well by planning short trips instead of spending money on firecrackers, foods and buying gifts and you can also be one of them. Once you select your vacation spot and book the flight you simply have to buy travel insurance online. To compare online travel insurance you can resort to GIBL.IN, the premiere online insurance marketplace in India. After placing your travel details you can go through a list of online travel insurance quotes and pick the best online travel insurance plan as per your needs. Visit GIBL.IN today to Enjoy this Diwali 2016 in a different manner and visit GIBL.IN today to ensure safety of you and your family during the trip.